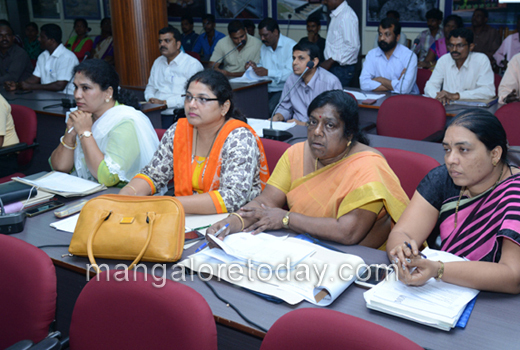 Mangaluru, Aug 6,2016: A whopping Rs 1.42 crore PF,Provident Fund of the outsourced pourak-armikas (civic workers) working under MCC, Mangaluru City Corporation is yet to be remitted to the EPFO, Employees Provident Fund Organisation from the past four years (from April 2012 to January 2016). 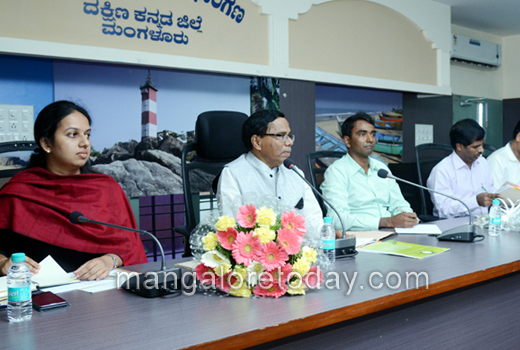 The startling revelation was made by a PF officer at the progress review meeting chaired by Karnataka State Safai Karmachari Commission Chairman C Narayana convened at the DC’s office here on Friday Aug 5. According to the officer, the EPFO has already started an enquiry against five contractors and the next hearing has been posted for August 17. Earlier, there was a due of Rs 46 lakh too, the officer added. Ironically, the MCC officials too were unaware of this while the contractors had failed to remit the amount to the EPFO. 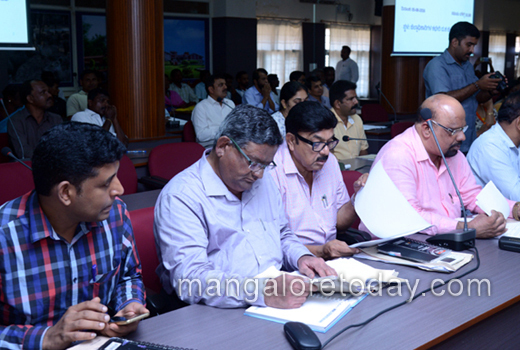 Chairman Narayana said pourakarmikas continue to be at the losing end if the contractors fail to remit their PF dues. 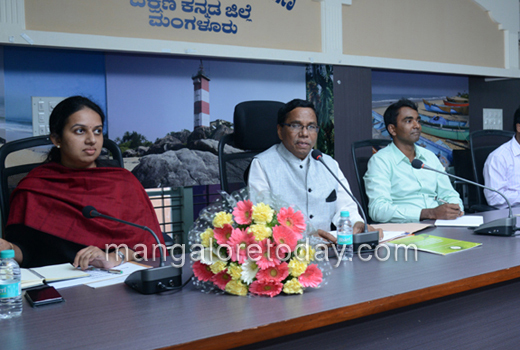 DK DC Dr K G Jagadeesh, who was also caught off guard, sought a clarification from both MCC Environmental Engineer Madhu S Manohar and the PF officer. When he could not get a satisfactory reply, he constituted a committee, involving officials attached to MCC, PF, ESI and also Labour Department to verify the fact. 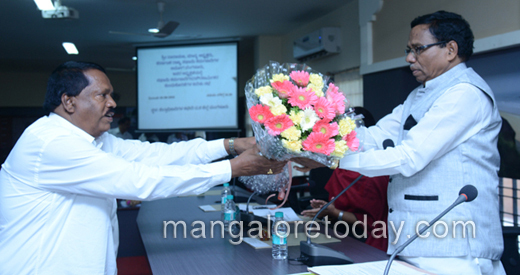 Narayana, was also surprised to know that a majority of pourakarmikas, mostly working on contract basis, at MCC and nine other urban local bodies in Dakshina Kannada district are receiving salary in cash. Of the total 1,137 pourkarmikas, including 188 regularised workers and 949 on contract basis, a majority of them also lack bank accounts. 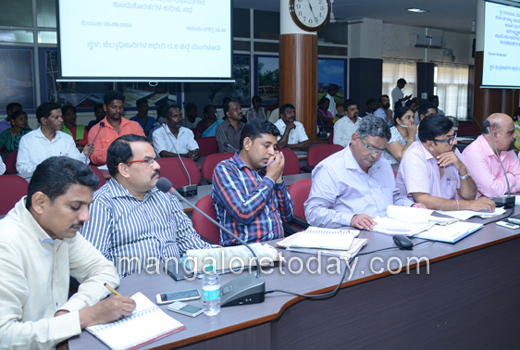 Barring 15 pourakarmikas in Mulki Town Panchayat who opened bank accounts only recently, many others were lagging behind, the officers from the local bodies told the meeting. Narayana called it a clear violation of the standing orders from the government and set one month deadline for the local bodies to take measures to open bank accounts of the pourakarmikas and credit salaries only through RTGS, Real Time Gross Settlement method directly to their respective accounts. He was also irked to know that there is no pay parity among pourakarmikas as some of them are still paid lesser than the prescribed daily wage though it is enhanced from this fiscal. An outsourced pourakarmika, charged that she is still being paid Rs 6,000 per month by hand. She said she is completely unaware of PF savings and also ESI facilities.